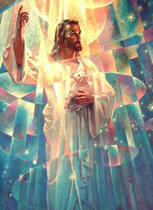 Uriel and Aurora are the Archangel and Archeia of of the Sixth Ray of God's Peace, Ministration and Service. 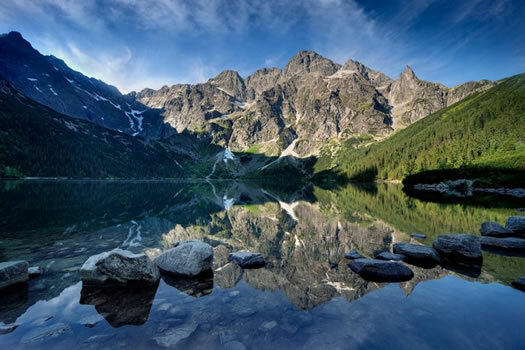 Their Retreat is located in the etheric realm over the Tatra Mountains, south of Kracow, in Poland. In every Retreat of the Archangels, there is a Focus of the Sacred Fire that is maintained at all times. In Uriel and Aurora's Retreat there is the focusing of the Golden Flame of Peace. 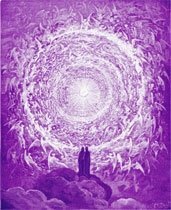 Archangel Uriel and Aurora's Retreat sustains the Flame of Peace for mankind as humanity gradually learns to invoke It for themselves. Uriel is also known as the Angel of the Resurrection Flame. The Resurrection Flame is mother-of-pearl in color, and it brings renewal, rebirth and rejuvenation so that you, like a phoenix, can rise out of the ashes of your former self. Archangel Uriel teaches us how to use the Resurrection Flame to conquer fear and achieve true God-Mastery. Archangel Uriel and Aurora invite students to come to their Retreat to increase the Flame of Peace in our nature for renewed balance and equanimity in challenging situations.